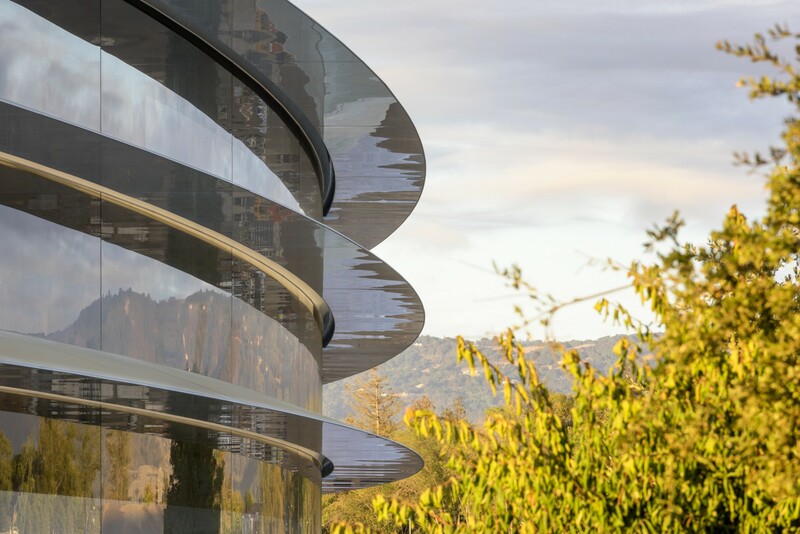 Apple employees will be able to move into their new premises in Foster + Partners’s Apple Park in Santa Clara Valley in April 2017, even though work is scheduled to continue throughout the summer. Construction of the Apple Park in Santa Clara Valley designed by Foster + Partners in partnership with Apple is being completed. In the month of April 2017 employees will be able to move into their new offices, and Apple estimates it will take six months to move about 12,000 employees. Work will however continue throughout the summer on the completion of the big campus based on Steve Jobs’ concept of a centre for creativity and collaboration, the home of innovation for generations to come. Located in a panoramic spot, Apple Park will transform miles of asphalt sprawl into green space for the Santa Clara Valley, and will also include a theatre dedicated to the memory of Steve Jobs (Steve Jobs Theater). Employees will have two miles of walking and running paths in a large park with an orchard, a meadow and a pond. This creative, vital environment captures the essence of Jobs’ beloved California landscape. The park will include a visitor centre, an Apple Store and a public cafe, as well as a fitness centre for employees and, of course, research and work areas. Foster + Partners’ project will become the home of innovation for generations to come. The project will be green not only thanks to the presence of more than 9000 native drought-resistant trees, but in terms of the green energy used on the campus, thanks to one of the world’s largest on-site solar energy installations.